Hello beautiful readers! So this crazy thought has been running though my mind lately. By crazy thought I mean chopping my hair off. My hair has been like it is now for the longest. I've always wanted to do something different with it but I'm just too chicken to actually do it. A couple of years ago, I summoned up the courage to get bangs. But that did not last long at all, because the thing grew out in like 3 weeks. Anyways, since summer is just around the corner I've been thinking about cutting my hair. Of course I'm not going bald, just something shorter. Mr. D. is not a fan of the short hair idea, but I keep telling him it will grow back; at least I'm hoping it will. I know someone that will absolutely scream endlessly if she reads or find out about this. The thing is I've been against short hair for the longest. I remember back in college, she would beg me to cut her hair once it starts growing out and I would refuse. I guess the table has been turned now. This change might not take effect asap, as I'm still on the hunt for a beauty salon that I like and I'm comfortable with. Once I find one, the plan is to test them out with a couple of washing and styling before I allow them to perm or cut my hair. Yes, I am very protective of my hair, even though I don't do much to pamper it. So any suggestion for a nice and of course cute hair cut is welcome. Here are the ones I gravitated towards while looking online for ideas. Any preference? Reactions, comments, suggestions and preference please! What????? No you're not....but I think you should go for 5 or 6, something not too short! Lol...yes I am. I think my mind is set, it's just a matter of time now. Thanks for the suggestions. I would say for starters get your hair trimed and layered/feathered first. I love short hair as that was my style of choice when I used to wear permed hair. It deffinately fitted me well. The thing is you have to get a good hairdresser. My suggestion is to look out for individuals who's hair you admire short when you are out an about and ask for their stylist contact. 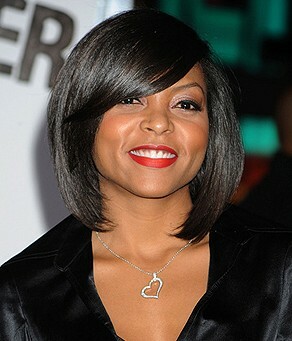 while I personally love short hair cuts they require more maintenance...curling iron etc. Thanks much. I like the suggestion about playing with the layered look first. The good hair dresser is becoming my challenging part, I think I found one though, we'll see. Not liking the lots of maintenance part, but I'm ready to give whatever it takes for this change to happen and I guess I'll take that into consideration for the style I go for.